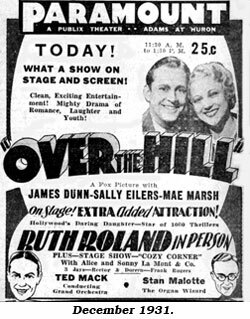 Silent serial heroine Ruth Roland was born August 26, 1892 in San Francisco where her father managed a theatre. After working in vaudeville she made her first film in 1911 for Kalem Studios, becoming the leading actress of their West Coast studio. She made her first serial there, “The Girl Detective” in 1915. 14 episodes. 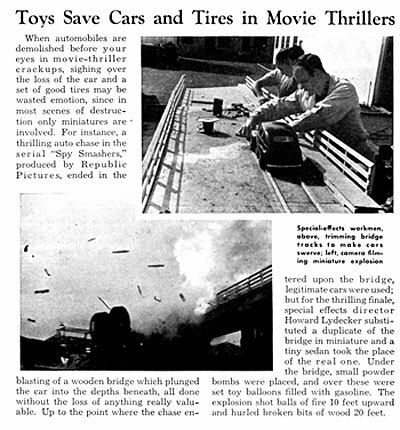 “The Red Circle” (14 chapters) followed for Balboa/Pathe; also in 1915. 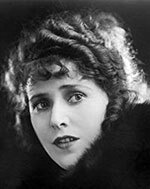 She starred in eleven more between 1917 and 1923, including “Hands Up”, “Ruth of the Rockies”, “Avenging Arrow”, “White Eagle” and “Haunted Valley”, all for Pathe. That’s in addition to numerous features ands shorts through 1927. Her first talkie was in 1930, but she elected to perform in live theatre. She made one more film in ‘36 before cancer took her at only 45 in 1937. 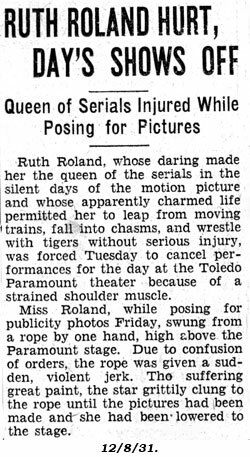 These three news clippings are from a December 1931 personal appearance Ruth made in Toledo, Ohio.